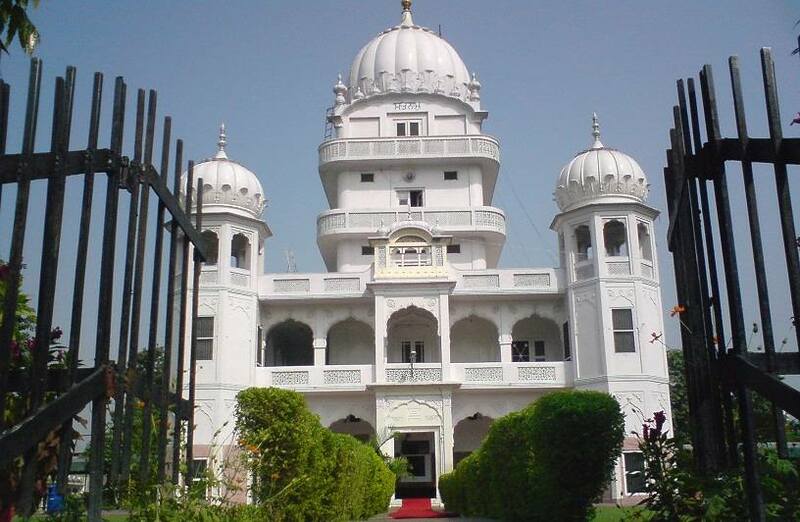 Ludhiana is known for its Gurudwaras, along with the city’s unforgettable natural beauty. Like any other modern city, it also has amusement parks, museums, and a number of shopping malls, to keep you entertained. Still, in spite of its urban development, Ludhiana has kept its rustic tone intact and you can feel that while visiting the outskirt areas like Sidhwanbet, Kila Raipur, and Sudhar. 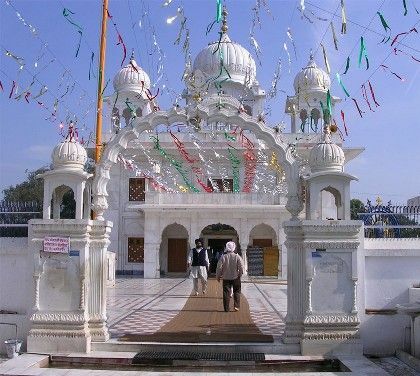 This gurudwara is located near the village of Alamgir and is sometimes referred to by the same name. The Punjabi term ‘Manji Sahib’ means a bed whereon the holy scriptures of the Sikh religion, ‘Guru Granth Sahib’, rests. 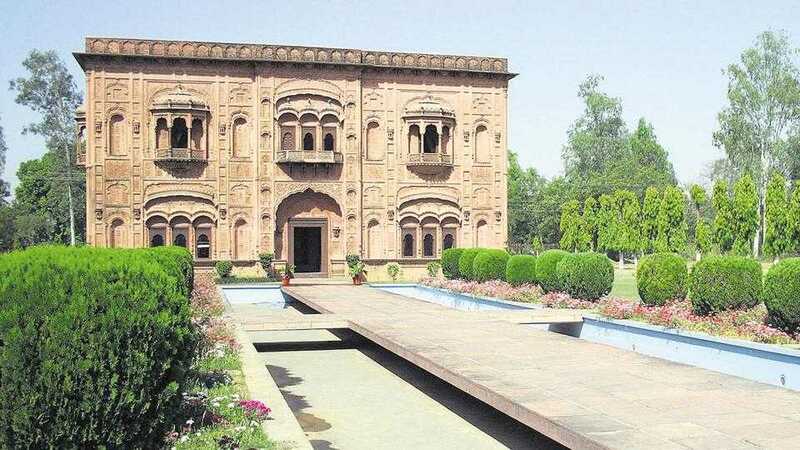 According to local beliefs, the tenth guru or Sikh prophet Guru Govind Singh stayed at the place for a short period when he was being pursued by the Mughals. Take a cab, bus or auto, and they will bring you here via either Pakhowal Road or Ferozpur Rd/Ludhiana Rd. The main hall or ‘Darbar Sahib’ is used for prayer and meditation. There is a holy tank known as Arrow Lake or ‘Tirshar’ which emerged after an arrow shot by Guru Govind Singh hit the spot. There is also a palanquin which was used by Guru Govind Singh. It usually takes about 2-3 hours to see the whole place. The ‘langar’ provides healthy hygienic food every day, free of cost. During December, there is an annual festival marked by ceremonial celebrations by Katha Vachak or priests. Located at the Sutlej River banks of Phillaur, this 200-year old citadel is also known as the Maharaja Ranjit Singh Fort. Constructed to be a military fortress for Maharaja Ranjit Singh (tenure 1799 – 1839), this fort was designed by Governor Mokham Chand, the general of the Maharaja, with help from Italian and French architects. 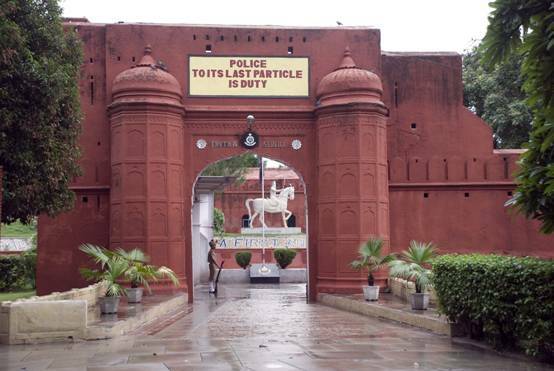 Presently, parts of the fort are used as a Police Academy (the first to be established in India) and a Finger Print Bureau (the second oldest in the country). Since it is located on G.T Road, around 14 km away from the town, a cab or auto from the city can easily take you. While entering the historical fort, don’t miss the Lahori and Delhi Gates, named after the historic Mughal cities. It is believed that the Sarai the fort is located within was built by Shah Jahan. You can see the courtyard, and visit the tombs of notable Muslim saints. There is also a shrine of Pir-i-Dastgir or Abdul Kadir Galani in the Dargha. Visit the police museum and police library, displaying old Indian and British police uniforms, weapons and books (before 1947). There is a market nearby you can buy souvenirs from. Better be prepared to fight a crowd as plenty of people visit the place, especially since entry is free. The historical gurudwara is located around 35 km away from Machhiwara town of Ludhiana. Guru Govind Singh is believed to have taken refuge here during his fight with Mughal emperor Aurangzeb. It is also said, that his three disciples Man Singh, Dharam Singh, and Daya Singh found him here. Any bus, auto or car can take you here via Ludhiana-Chandigarh Highway. At the premises, there is the famous Khejri tree under which Guru Govind Singh slept and recited the holy chant ‘mitar payare nu haal murida da kehna’ (convey the situation of his disciples to the Dear Friend). His footstep, similar to a lotus flower, is known as Charan Kanwal and has been marked at the gurudwara. The calm ambiance makes it suitable for spending a few peaceful hours. Entry is free and there is an annual fair organized in December, marking the days of Guru Govind Singh’s stay here. 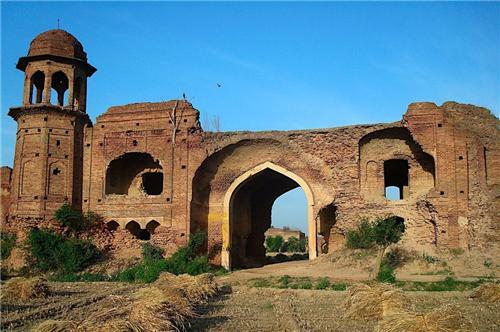 Situated on the bank of Sutlej River, this fort was built during the reign of Sikander Lodhi. The 500-year old fort is also known as Purana Qila or simply the Old Fort. Take an auto or cab from the city to reach here. The ruins of the fort doesn’t offer much, as it is not properly maintained. It could be a good place for a short stopover on your way to some other place. Parts of the Bollywood flick, Rang De Basanti was shot here. 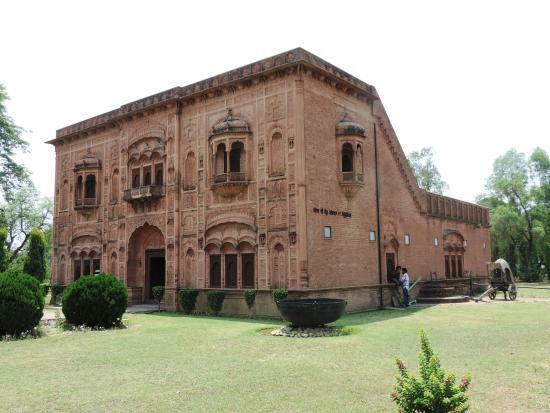 The museum is within the Punjab Agricultural University, in the outskirts of Ludhiana on Ferozpur Road. The building, covering around 4000 sq. ft area concentrates on showing how the farming technology in India has evolved over the years through classic agricultural equipment, and other exhibits. If you come in a car from the city, the journey would take maximum 15-20 minutes. There may be public transports available. The nice façade of the museum has a photographic appeal. Loiter around water channels that shape the long paved entrance and see various decorative plants. 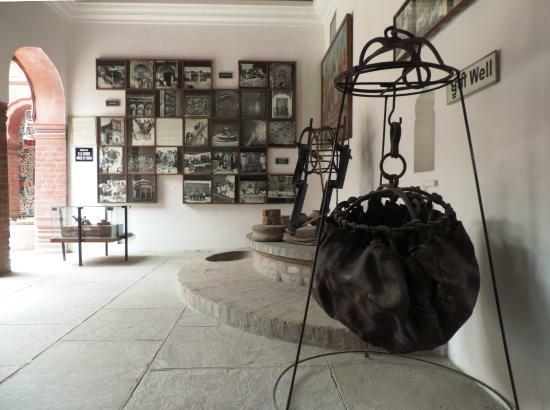 Among the exhibits inside the museum, there are old bronze utensils and ornaments villagers used to deck up their domesticated working animals. You may also check the Uppal Museum within the premises of the university. The entry fee is around Rs. 10 per head. There is an annual ‘Kisaan Mela’ organized by the university authority and the time is declared by them beforehand. Established in 1999, the war museum covers four acres of land on G.T Road, Bhattian. The object of this place is to pay homage to the Indian martyrs who died serving their country in the battlefields, by commemorating their skill and actions. G.T Road is well connected with all parts of the city, so you can take a cab from anywhere to reach here. Other public transport options, like an auto, are also there. The railway station is located within 5 km of this place. 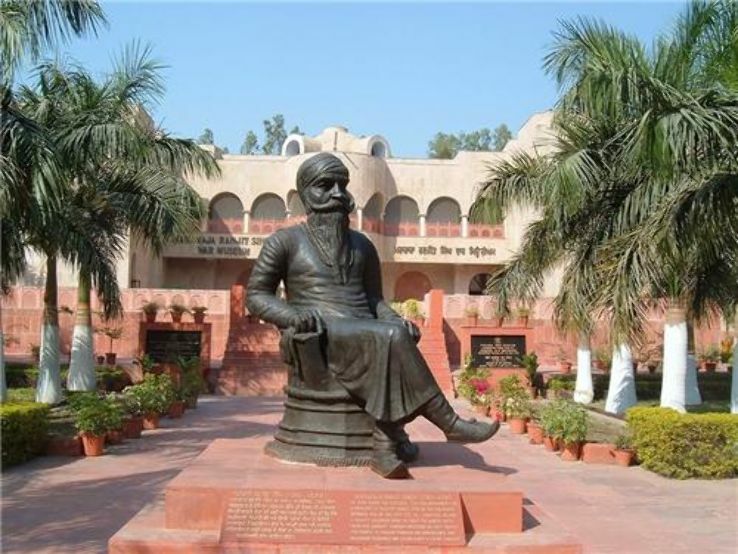 A black statue of Maharaj Ranjit Singh is stationed at the entrance as a mark of respect. Inside, visit the 12 galleries, including the War Hero’s Gallery, Navy Gallery, Air Force Gallery, Post Independence History Gallery, and Ancient History Gallery, each further divided into different sections. In the main hall, there are images of Bravery Award winning admirals, chief marshals, and generals from Punjab Armed Forces. There are vintage models of the Sukhoi aircraft, INS Vikrant warship, multiple battle tanks, guns, and rifles. There is a light-and-sound show reflecting the significance of the Punjab Police during the Independence Day war. Outside the museum, you can picnic with your family as the authority allows you to carry food and water inside. Adults are charged around Rs 40 per head, while for children above 5 years tickets cost about Rs. 20 per head. This zoo was opened in 1993 with an aim to protect the land as well as animals like Bengal Tigers, peacocks, bear, and blackbucks that live here. The authority operates a conducted tour that will take you close to the animals. 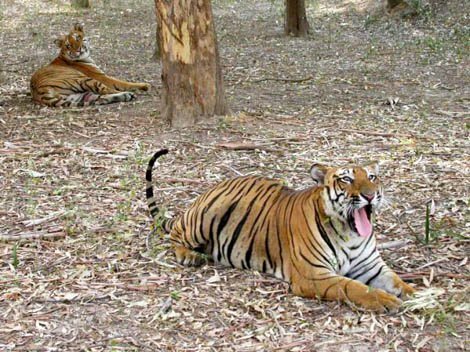 There are two tigers, Money and Deepak, and they are kept out of the cage alternatively for the safari purpose. Both of them are over fifteen years old, so naturally, not in a very stout condition. It is located pretty close to the main city, so you can get an app cab or a regular taxi to reach the zoo within 30 minutes to 1 hour. Opt for the safari and you might see the tigers while they are bathing, strolling and resting in the forest. However, since there is just one tiger in the safari area at a time, many people have been disappointed. Peacocks are plenty in numbers, so there are high chances of spotting them in different activities. It takes about 3 hours to complete seeing the whole place and finishing the safari. Two buses are there for the safari and one does not leave until the other one returns. It is better to avoid coming to the zoo during the summer. Tickets are around Rs. 50 per head for the safari. Built in 1967, the garden is one of the largest as well as oldest leisure spots in the city. 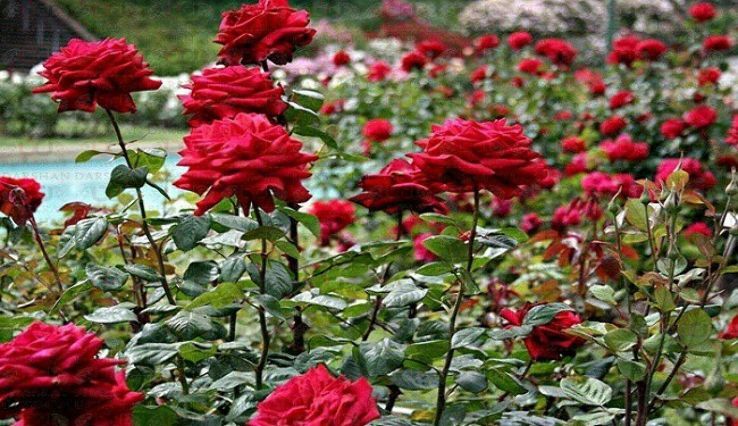 Decorated with thousands of roses and other plants, the park also houses the Nehru Planetarium. Due to its location at the heart of the city, finding autos, buses and hired cabs to bring you here should not be a problem. See around 1,600 types of rose and almost as many of other fascinating plants within the park. The paved ways are good for taking small walks while the illuminated fountain could be a romantic spot to sit and spend a few hours. You may opt for boating along with your friends and family, or let your kids have fun at the swings while you take pictures. Entry is free. There is a rose festival held every year at different times, and its timing is declared by the park authority in advance. The planetarium timing is at 10:15 am and 11:15 am from Monday to Thursday. On Sundays, the show timings are at 03:15 pm, 04:15 pm, and 05:15 pm. The amusement park is featured with plenty of fun land and water rides. Located on the Ludhiana–Jalandhar G.T. Road, this is a popular weekend gateway for friend groups and families. Take a cab, bus, or auto for reaching the park from any point in the city. 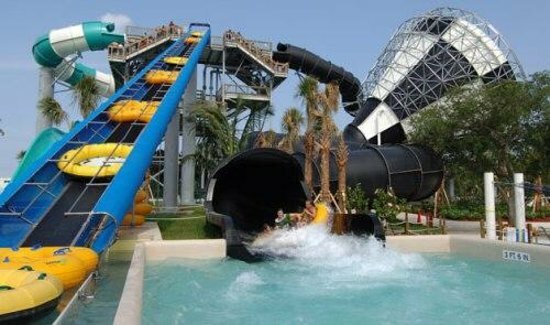 Enjoy roller coasters, swing chairs, striking cars, bull ride, caterpillar ride, water chute and body slides. There is a haunted house and a wax museum within the park as well. There are three restaurants and seven food stalls of variable price ranges within the park. The ticket is around Rs. 800 per head, covering all the rides. There may be discounts on certain group tickets. 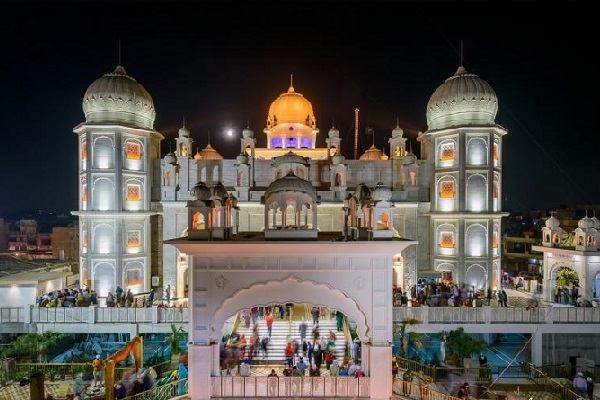 There are many other fascinating tourist points, including various gurdwaras, mosques, temples, and forts nearby to make you love your stay at Ludhiana. These places are for all age groups representing the rich heritage and culture of the northwestern state of Punjab.